Do you remember walking up to the seventh tee during Wednesday’s Par 3 Contest? I do. I was with my kids and my wife. What club did you hit there? A gap wedge. It was 121 yards. When the ball left the club, did you know it was really good? Yeah. This was my first Par 3 Contest, and the guy on the tee told me, “You’ve gotta hit this right at this pin. It’s gotta be up close to the right fringe or just past it, since everything feeds back left toward the hole.” So I did what he said. I hit it perfect, just past the pin and on the right side. When it started coming back, I knew it was good. 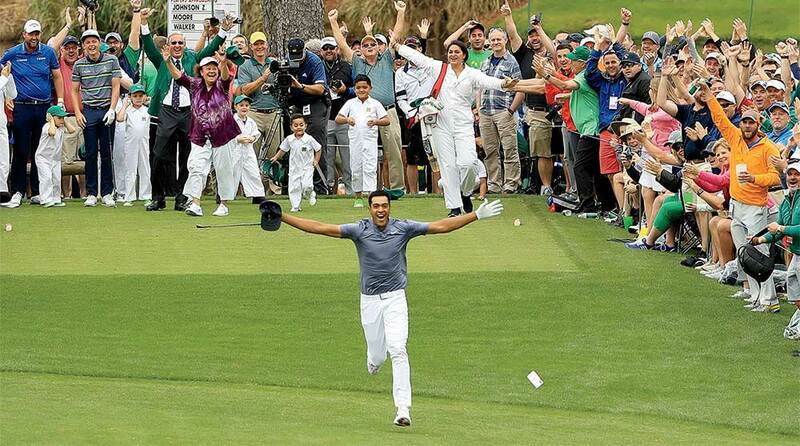 Tony Finau celebrates his ace during the 2018 Masters Par-3 Contest. Did you know it had a chance to go in? No. I think that’s why my celebration was so ecstatic. Hole-in-ones are so rare, so even though the ball is coming back toward the hole, I’m thinking it’s gonna spin off the green. And then it went in. I couldn’t believe it. You just took off, running after it. I was so excited I threw the club and just ran toward the hole. People were going nuts. I turned around to see what my family’s reaction was, and as I was backpedaling I fell down. What was your first thought when you crashed? 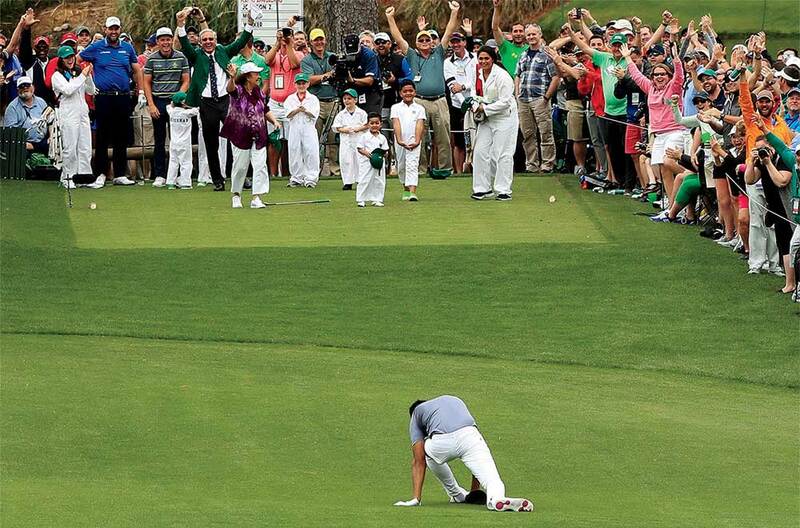 Tony Finau's celebration turned ugly, quickly, at the 2018 Masters Par-3 Contest. Was it just instinct to pop it back in or did you actually think, I’ve gotta do something here? Pure instinct. And slight embarrassment. I knew for sure there wasn’t going to be any paramedic taking me out on a stretcher. I looked down at my foot. I knew how it dislocated. So I figured I’d give it a nudge to see if it’d go back, and it did. What did your wife say when you limped back to the tee box? She was like, “Oh my gosh, dude. Did you really just pop your ankle back in place?” That’s what she said! [Laughs] And that’s when I knew the potential was pretty high that the whole world would end up seeing it. Did you think you’d have to withdraw from the tournament? Fair to say you’re going to live in Masters history, whether you win a green jacket or not? Fair to say. And that’s fine by me.